As prisoners in Alabama prepare to strike, this short article outlines some of their demands as well as the groups - including the Industrial Workers of the World - who intend to support them in their struggle. Prisoners in Alabama, organised under the Free Alabama Movement, have announced they will be starting their second strike of the year this weekend. Acknowledging, in the words of incarcerated activist Melvin Ray, that prisons are little more than a “free labor system”, prisoners at the St. Clair correctional facility have decided to strike. According to Ray, an earlier strike in January drew in 1100 of St. Clair’s 1300 inmates and spread to two other prisons in the state. Prisoners are hoping this strike will be even larger. However, this time around, the Free Alabama movement (FAM) has hooked up with the Industrial Workers of the World labor union (IWW) and its newly created Incarcerated Workers Organizing Committee. The IWW hopes to coordinate outside support, offer publicity, and generally be a voice for the prisoners on the outside. In terms of demands, the prisoners’ overarching goal is to end prison labor – which, under Alabama law, can be employed by private employers for private profit – and to fundamentally reshape the prison system. In the interim, prisoners have grievances regarding overcrowding, lack of educational and rehabilitational facilities, and the use of solitary confinement. Besides organizing strikes, the FAM has posted clandestine cell phone videos of abuse by prison authorities, unsafe meat products, hazardous fire exits, and exposed electrical wiring. Calling their actions a stand against the “new Jim Crow” system of forced labor and mass incarceration, the inmates have so far stood united across racial and ethnic lines in what they have emphasized is a “non-violent” action. Where the FAM strike goes from here is yet to be seen, but one thing is clear: from Georgia to California to Alabama, there is a movement brewing in America’s prisons. Perhaps the FAM, with their explicitly class perspective, can bring that solidarity and anger more fully to the public consciousness. More information on the prisoners, their movement, and how they can be supported, can be found here and here. So it occurred to me after writing this that the prison strikes we've seen in the US since 2010 have basically been, year on year, the biggest strikes America's seen in recent times. In the States, strikes of over 1000 people are basically non-existent. Yet it seems like when prisoners strike, we get into the triple digits pretty damn fast. As people do eventually get released, it will be interesting to see if any of that militancy carries over into more traditional workplaces - that said, of course, gaining re-employment after jail time is a huge struggle in itself and reflects in large part why America has such high recidivism rates. When the oppressed begin to understand their power, begin to speak out and act together, not as victims, but as a majority creating a new world that is theirs in the shell of the old--this is when the powers that be react with violence. This is NOT acceptable. Call Warden Carter Davenport (205) 467-6111 and demand he be treated like a human being. Ask to be redirected to the highest person. Let's flood the phone lines. Show 'em that we're watching! An injury to one is an injury to all! "Hi, my name is X. I'm inquiring about a colleague (fellow member of a labor union, the IWW) Melvin Ray being held at St. Clair prison. His family reports that he was removed from his cell, stripped naked, and placed into a bare cell without clothes or bed. I want to know if this is true and to ask that he be returned to his original cell, given his clothing and bed back. I also think that these actions are unjust, prison workers involved in the strike or work stoppage should not be retaliated against." I find it incredibly inspiring that this wave of resistance of prisoners continues. I have some close comrades who were paralegals and were able to go inside the Security Housing Units (SHUs) at Pelican Bay State Prison in California when the first hunger strike started there in 2002. They returned again soon after the hunger strikes resumed in July 2011, but were soon banned with the crackdown on the hunger strikes -- which had gone nationwide -- by the California Department of Corrections authorities. But with the end of the era of Fordist factories, there aren't really that many workplaces of more than 1,000 workers (relative to what they had once been) in the U.S. Sure, factories that make heavy machinery, vehicles, aerospace and other industrial commodities -- especially auto plants in the right-to-work states in the South -- still might have big workforces, but even those are down considerably with the rise of Toyotaism and the extensive use of subcontractors to make more and more of sub-components. So prisons are one of the few social institutions to see massively rising populations, especially in places like California. Take a nearly completely deindustrialized city like Oakland, that in the post-World War II period was called "Detroit of the West" (although that title should have gone to Los Angeles). It's a classic case of the classroom-to-prison pipeline for black and brown young men. Unemployment in formerly industrialized East Oakland is over 50% -- and as high as 70% for youth. Once out of prison, there are simply no jobs to get. But as someone who once tutored literacy in jails, Oakland's North County lockup to be exact, I have seen this transformation since the 1980s. But it more accurately began with California's Determinate Sentencing Law in 1977, which also marked the end of the previous period of heightened resistance within prisons. I also have to say that the fightback from within prisons is qualitatively different from labor struggles for the same reason that Marx critiqued Aristotle's labor theory of value, namely that labor there is "unfree." Being dehumanized in a prison is akin to slavery. In February 2003 the Bureau of Labor Statistics reported, for the first time since they started keeping records in 1947, that not a single strike of more than 1,000 workers had occurred in the U.S. This was an intentional act of institutional amnesia: the Bureau of Labor Statistics stopped compiling data of strikes at workplaces of under 1,000 in 1980, at the beginning of the Reagan administration. This doesn't mean that strikes at small shops don't occur, it simply means that government statisticians ignore them. The May Day 2006 strike involved nearly 8,000,000, mostly Spanish-speaking, immigrant workers. To me, that was a near-nationwide general strike. So here's an example of a mass strike in recent memory. Lastly, we've got to be clear about the ability of struggles behind bars to connect with those on the outside -- and vice versa. In the 60s and 70s the movement in California prisons, led by convicts like George Jackson, gave rise to some pretty delusional ideas on the outside that prisoners were the "vanguard." The results were the tragic deaths of too many young men. Just read Eric Cummins' The Rise and Fall of California's Radical Prison Movement to see some of that myth-making refuted -- without diminishing the heroic struggles of prisoners behind those barbaric walls during that period. 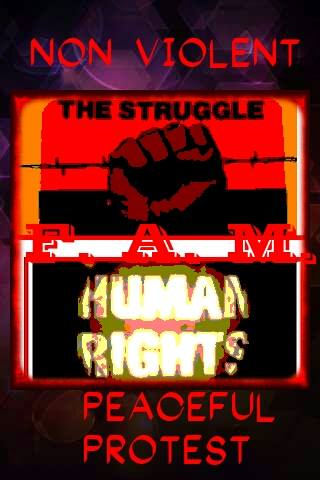 From Attica to Lucasville to Pelican Bay to St. Clair the struggle continues! H makes some great points. On the mythology of the prison "vanguard" Bad is very good, it's by one of George Jackson's close comrades who later got connected with semi-situationists. One other point to make is that looking at the statistics of workers ejected from factory employment, and the growth of people incarcerated in the prisons, there is a very strong correspondence, especially in the Midwest and among the Black community. The Crisis folks who talk about "surplus labor population" as a critical tendency in capitalism may be on to something - it seems like the children of workers that can not be profitably employed, are most profitably placed in prison. I'm very suspicious of the "surplus labor population" hypothesis, especially as it's the core idea of Mike Davis' Planet of Slums. I think he uses it to make unemployed slum dwellers into passive victims, incapable of fighting on their own behalf. Arrival City: How the Largest Migration in History is Reshaping Our World, by mainstream journalist Doug Saunders, refutes the argument of slums being full of people living outside the economy by showing how slums act as intermediate zones where migrants acculturate -- and often proletarianize -- themselves, often while resisting their exploitation. Oliver isn't talking about this, but the political-economic tendency has always been to expel workers from the labor process through the rising organic composition of capital. That's why world wars help destroy not only fixed capital, but variable capital too. As for the myth of the "industrial-prison-complex" being a motor for capitalist profit, I think Loïc Wacquant's Punishing the Poor: The Neoliberal Government of Social Insecurity disproves it quite well. Listen here to an interview with Wacquan on Berkeley's KPFA Against the Grain show about the punitive social role of prisons. He claims it is a "regulator of poverty" and a "regulator of race." He claims that the success of the Civil Rights Movement gave rise to prison building as a class war against African Americans at the bottom of the working class. I think we're all saying the same thing; the main catalyst of this prison-building boom is deindustrialization and the marginalization of black ghettos.